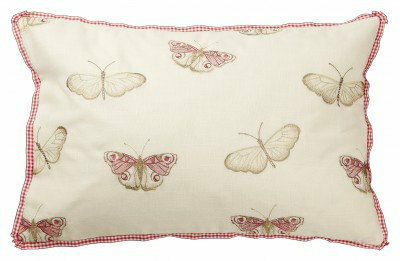 A beautiful cream butterfly cushion featuring pretty pink butterflies and a red gingham edging. 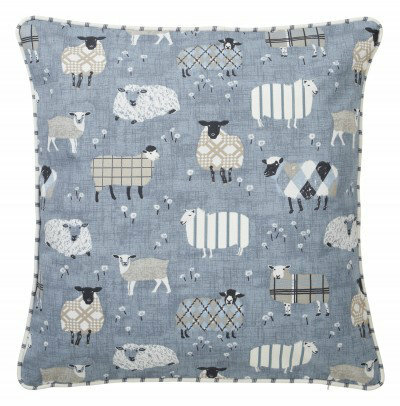 This cushion would fit into a country styled interior perfectly. Reverse side has pink polka dots and gingham bows. Total cushion size 60x40cm. 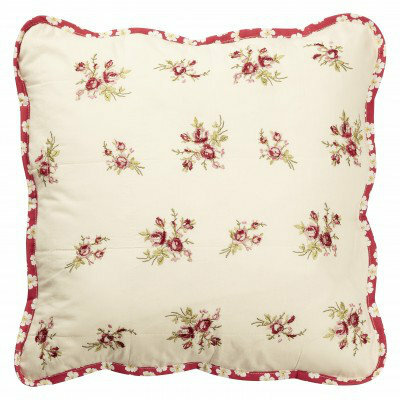 A vintage style cream floral cushion with a red daisy piped edging ideal for creating a country cottage feel in your home. Reverse side features a red floral design. Total cushion size 43x43cm. 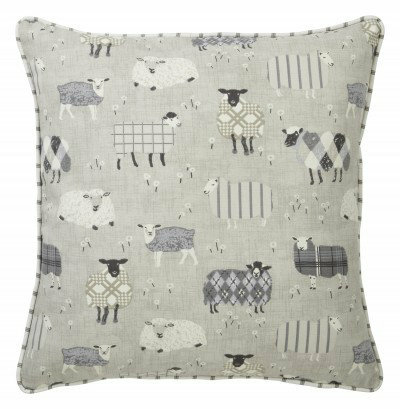 An adorable cotton cushion featuring fabric applique style sheep surrounded by small dandelion flowers finished with a striped piped edging. 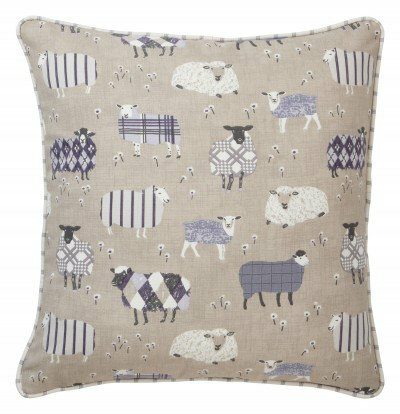 Ideal for achieving a country style interior. 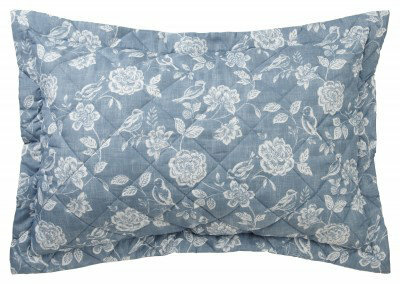 An elegant floral cushion featuring birds and roses in a lovely distressed denim colourway. 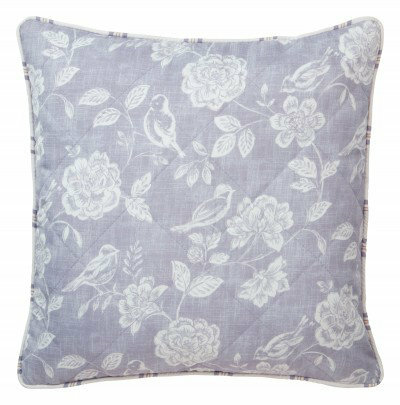 This cushion is perfect for creating a lovely neutral and natural look in your home and coordinates beautifully with the Henley Bird Garden duvet covers. 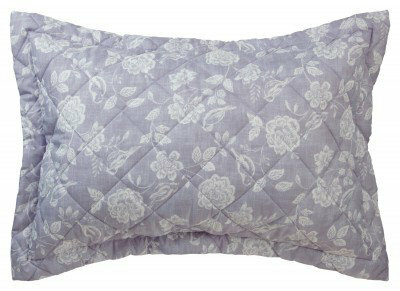 An elegant floral cushion featuring birds and roses in a lovely lavender colourway. This cushion is perfect for creating a lovely neutral and natural look in your home and coordinates beautifully with the Henley Bird Garden duvet covers. 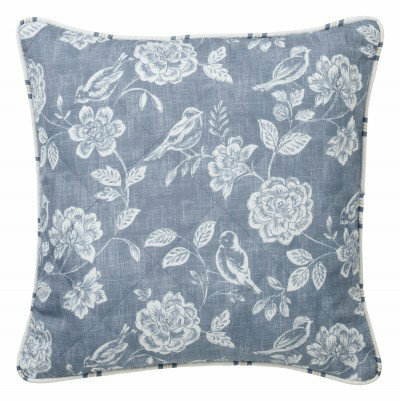 An elegant floral cushion featuring birds and roses in a lovely natural colourway. 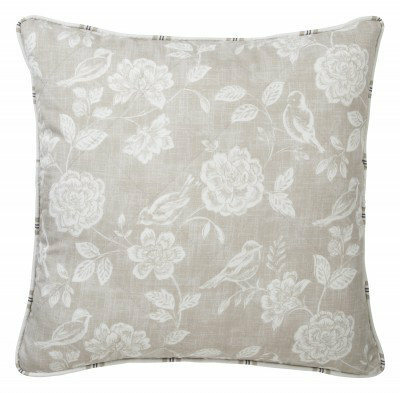 This cushion is perfect for creating a lovely neutral and natural look in your home and coordinates beautifully with the Henley Bird Garden duvet covers.